Dr. Clement J. Cheng, is a comprehensive ophthalmologist who is board certified by the American Academy of Ophthalmology. His practice includes care for cataracts, diabetes, glaucoma, macular degeneration, as well as adjustments for your contact lenses or glasses. Beyond general eye care, he is one of the only fellowship trained specialists in cornea, external disease, and anterior segment and refractive surgery in our county. Dr. Cheng continues to bring the latest and most advanced treatments to the area by providing the newest methods of lamellar corneal transplantation (DSEK), advanced pterygium surgery with ocular surface reconstruction, and next generation intraocular implants to improve distance and near vision, as well as correct for astigmatism. Dr. Cheng was born and raised in the San Francisco Bay Area. He graduated valedictorian from Mission San Jose High School in Fremont. His interests led him to Chicago where he graduated with honors from Northwestern University in Biomedical Engineering with an emphasis on imaging. Dr. Cheng stayed in the "Windy City" to continue his training and received his medical degree from Northwestern University Medical School. From there he completed a transitional internship emphasizing general surgery through the Tufts University Medical School in Boston. Dr. Cheng then moved south to New York City to train in one of the top ophthalmology residency programs in the country. He completed his training in the combined program at NYU and Manhattan Eye, Ear, and Throat Hospital while being honored to serve as executive chief resident during his final year overseeing twenty-one resident physicians. He culminated his exceptional training by completing a cornea fellowship at the prestigious Wilmer Eye Institute at the Johns Hopkins University Medical School in Baltimore. 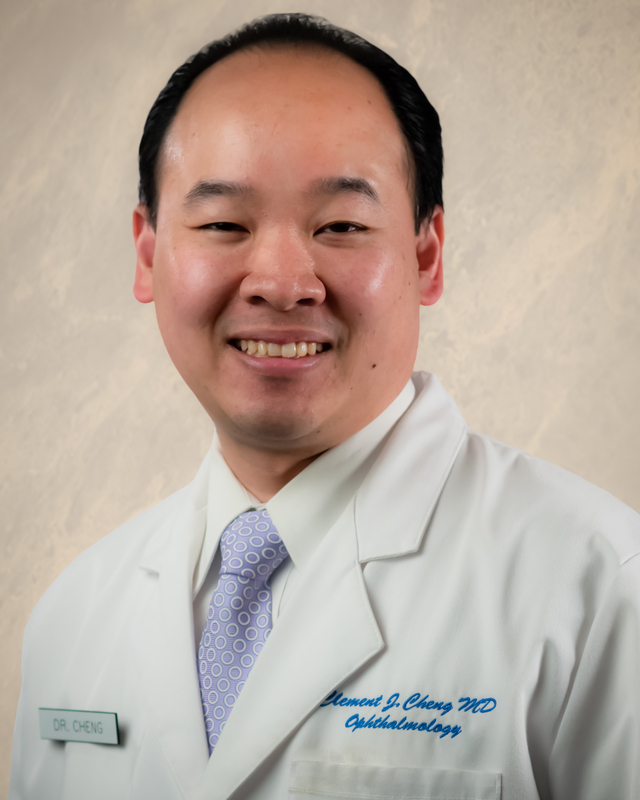 Dr. Cheng is also an Adjunct Clinical Assistant Professor in the Department of Ophthalmology at Stanford University and regularly works with and mentors residents, while keeping current with the latest advances in surgery and treatment. More recently, Dr. Cheng has served as Vice-Chairman of the Department of Ophthalmology at Dominican Hospital, part of Dignity Health. Dr. Cheng has contributed to the ophthalmic literature with research in glaucoma physiology, wavefront guided LASIK, Fuchs corneal dystrophy, phakic intraocular lenses and cataract surgery after LASIK. He is actively interested in technology and its application to medicine and has served on the Physicians Medical Group's (PMG) Technology Committee. Dr. Cheng is or has been a member of the American Academy of Ophthalmology (AAO), the American Society of Cataract and Refractive Surgeons (ASCRS), the Cornea Society, the Contact Lens Association of Ophthalmologists (CLAO), the American Medical Association, and the Santa Cruz Medical Society.